Redline Company designs for The Children in Peace | Marbella Marbella – Adelante! Marbella Marbella Adelante welcomes Redline Company to our website, as it was this innovative and progressive design company which created the logo for “Marbella Marbella” when we first originated this website. So we owe this marvellous group and especially it’s M.D. Line Lyster, a rather big THANK YOU! They have continued their support for charities by now designing for the International UNESCO recognised Charity, The Children for Peace ONLUS based in Rome and the Gala event will take place on the 4 June 2011. Redline is currently helping the Children for Peace charity by designing their invitation and tickets for the upcoming charity event in Villa Padierna. At Redline Company we often get involved in philanthropic activities, believing that it is important to participate actively in the community to help those less fortunate. In 2009 we actively supported the Caras Felices Charity; a cleft surgery charity based in Marbella through an event organised by Business First. In 2010 the new UK based charity The Safe House needed a logo and came to us for support and so far in 2011 we have produced the website for the local exhibition “Living Well Marbella” held in February at the Puente Romano Hotel in aid of Meningitis UK. 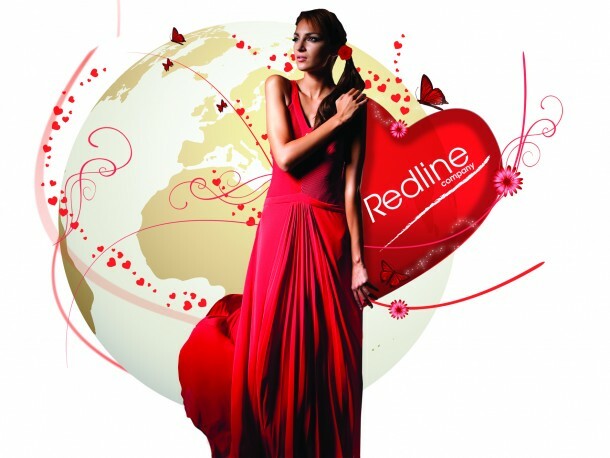 Redline Company is a marketing and graphic design agency based in Marbella. Established in 2004, we offer a great service for all your design and promotion needs. Specialising in working quickly and efficiently, Redline acts as a one stop marketing shop providing everything from new company logos, business cards, brochures and flyers to websites, advertising and PR campaigns and press liaison. For more information about Redline please visit www.redlinecompany.com. Here is the imaginatively created”Logo” by the Redline Company designers for “Marbella Marbella”.